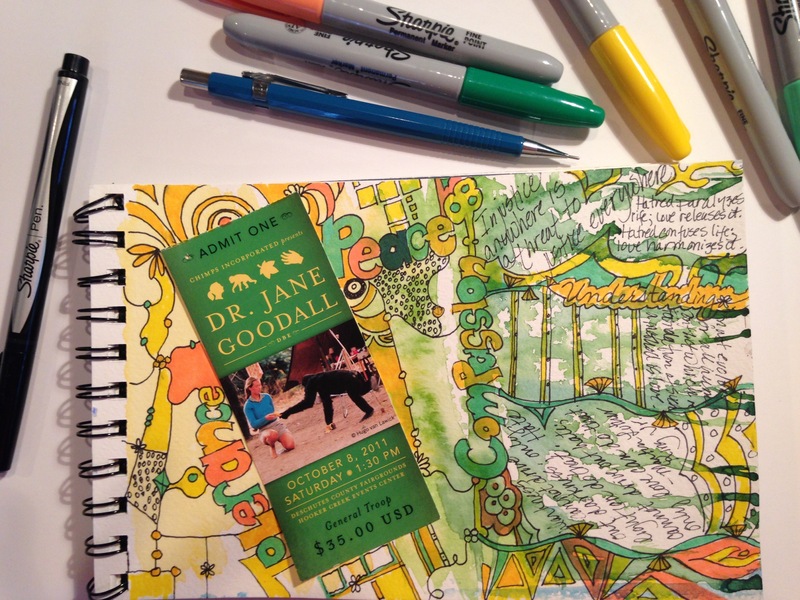 This morning, thinking about our world state of affairs, I decided to create a journal entry. 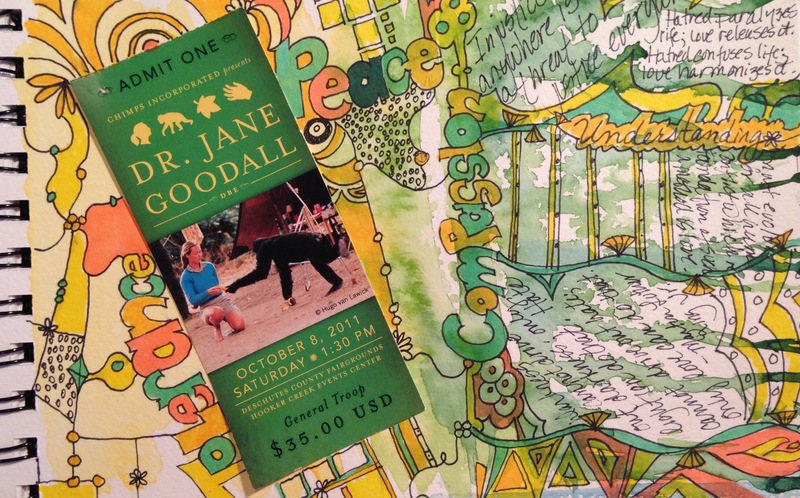 I used ticket stubs from one of my favorite celebrity icons for peace, Dr. Jane Goodall. She is inspirational in her studies of chimps, but also represents, for me at least, compassion and tolerance for differences. In addition, I quoted Martin Luther King, Jr. Stand together, people, for peace, tolerance, and understanding. Peace and understanding to us all. We are thinking of you, Paris.